It was on a beautiful Sunday afternoon, while spending time in the beautiful Gerês Natural Park that we decided to visit Sende, a project that we were told about while in Nantes, France, during a meeting of young creatives. We found out that the project exists in an old stone village in Galicia and that it already had hosted people from around the world, in a big variety of projects. Those stone villages are now often abandoned, sometimes forgotten, or sometimes, only elderly people are living there. This interested us. So, through many winding roads and golden landscapes, we finally arrived to this kind of magical place in the middle of the silent mountains. “Time for luminous pictures is running out!” we were talking about when we arrived and met Edo (Serbia) and Maria (Spain), the founders of this project. 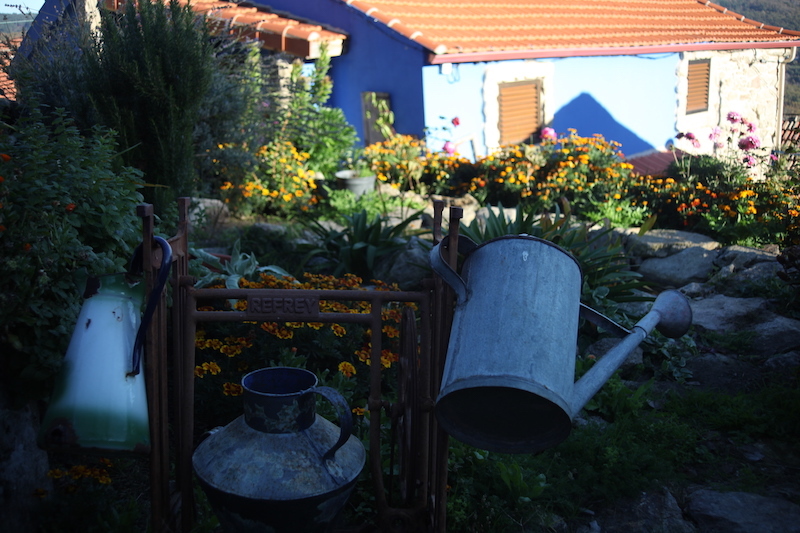 We started by checking the outdoors, decorated with plants, fishes, old objects and traces from other people’s passage. Here one can feel a very balanced mixture between what’s nature, old, untouched and what’s modern, creative and young. We started our interview while calmly drinking tea, like back home and with friends. SupE: Edo, tell us about Sende. Sende is a co-working/co-living space located in Senderiz, Galicia and it consists of four different houses which are almost completely repaired and converted in creative spaces, with accommodation, kitchen and spaces to work, indoor and outdoor. The whole idea started one year and a half ago. Sende works with entrepreneurs, people who are building their start-ups or social businesses, digital nomads, people who are travelling and working online, artists and artistic events, educators and people who are developing educational programs and projects. SupE: Why did you choose this place? By accident. We were travelling a lot and decided to settle down for a few months in Sintra, Portugal, while searching for the perfect location to create a co-working/co-living space. We were fascinated with all this hubs and creative spaces which are shaping our communities in the last two years. 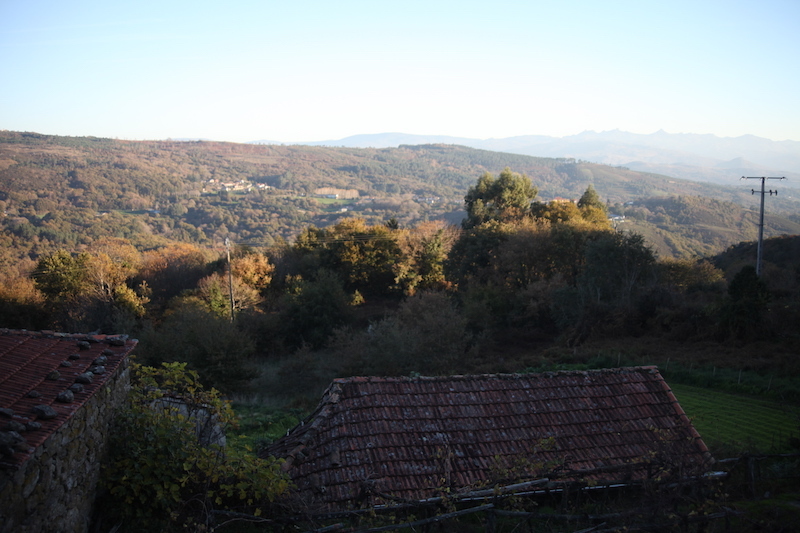 As we couldn’t find a good fit in Portugal, it was by family connections that we found out there were cheap houses in Galicia. We knew this region had a lot of abandoned villages or where only a few people lived. We felt in love by the nature and tranquility, so here we are with twenty other neighbors. SupE: How do you sustain this project? Do you have any sponsors? That is big part of our way of working and lifestyle, we did it with our personal and family money, in order to stay free and to travel and work whenever we want. It was a low investment that we recuperated in one year, which is very positive. This is a part of what co-working means to us: to stay free, creative and to move on. SupE: It took a lot of work to renovate these houses? We started with two houses and it took around six months, from buying to fixing everything. We are talking about very old houses and we didn’t want to destroy anything, we preserved it. Basically we did a big repairing inside the houses, which required a lot of work. SupE: Tell us about some of the events you organize here. We try to organize innovative events and the majority of them were invented here, like the project called “Writing MeetUp”. We found out that for example writing forty pages for subvention and grants can be something boring to do at home and on your own, so we created it to bring people together during five days, networking while working together. We also hosted “Bosquexo”, which is a rural sketchers meeting and a project that brings together twenty drawers, mostly from Spain, who are here during one week, drawing together and exchanging ideas. “Sende Trip” is a co-working trip for digital nomads, that come to spend three weeks here but also in the surroundings, both in Spain and Portugal. They work on their laptop and network together, while knowing other co-working places. We also organize big international projects that focus on different topics like technology, arduinos and photography, as an example. All of the work done in Sende is made in collaboration, so people can always propose their own projects/events. Someone has the idea to come and organize and we provide our logistics and philosophy, creating a nice mix. SupE: How was the process to get the license to renovate these houses? It’s much easier to work with bureaucracy and licenses when you act in a remote village. In Spain is easy to approach the municipality, so we didn’t have any problem to get the green light. SupE: Do you think that is because people are actually leaving these small villages? Exactly. There are areas where villages are empty, because young people are leaving to go to the cities. In those villages, most of the people have between sixty and ninety years old. So, initiatives like Sende are quite welcomed. SupE: How did the locals react when you came here? In the beginning it wasn’t easy, because it is a closed community. Especially for old people that lived all their life here. It is not easy for them to see and interact with strangers, but little by little we are creating this confidence. We try to involve the community whenever possible. For example in “Bosquexo” the drawers made a mural where they drew the people who live here and we had a workshop to speak and draw with them. Plus when a new group arrives they get to know the village and speak with people. Now we have very nice neighbors who often offer us vegetables and borrow us places to work, gardens, a garage… Now is very friendly. SupE: What was your biggest difficulty on the way? That we were both raised in cities, so it was the first time we lived in a village. It was difficult especially because we were not used of fixing things and doing hard work, so we had to learn how to do it. But at the same time, it was a big motivation. SupE: What motivates you to continue this project? We are happy here, we have the opportunity to work in what we want, experiment ideas and choose when we want to travel, which is what we searched for. And also by running a co-working space it is a big privilege to get to know people from around the world with so many interesting and varied projects. Not knowing what will happen next is a big motivation too. SupE: What about your ideas for the future? Considering Sende we are going to continue with the successful events and focus more on the “makers’ spaces”, where people can come and experiment things connected with technology and craftsmanship. Also we want to prepare it to be a charming place to visit during the winter, with the snow and traditional wood heating. Another goal is to find a place for our next co-working location. We will focus in Portugal and try to find a closer place to the coast and to a big city, with less rain during the winter. We want to continue to make good connections. Lisbon: using old and empty spaces, a solution against gentrification ?